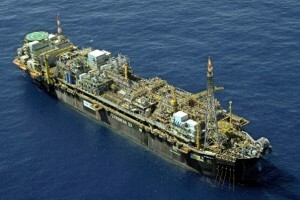 Brazil’s state-run oil giant Petrobras has projected investment of $236.7 billion in its 2013-2017 business plan. Petrobras is also sticking to its goal of raising crude-oil output from 2 million barrels per day in 2012 to 4.2 million barrels per day in 2020. The total value of the investments contained in the new plan is up just 0.08 per cent from the $236.5 billion estimated for the 2012-2016 period. The new plan was approved on Friday by the company’s board of directors. Of the total investments, $207.1 billion are earmarked for ongoing projects and $29.6 billion for projects still in the evaluation phase. About 62 per cent of the funds ($147.5 billion) will be allocated for exploration and production; 27 per cent ($64.8 billion) for refining, transportation and distribution; and 4 per cent ($9.9 billion) for the gas and energy segments.